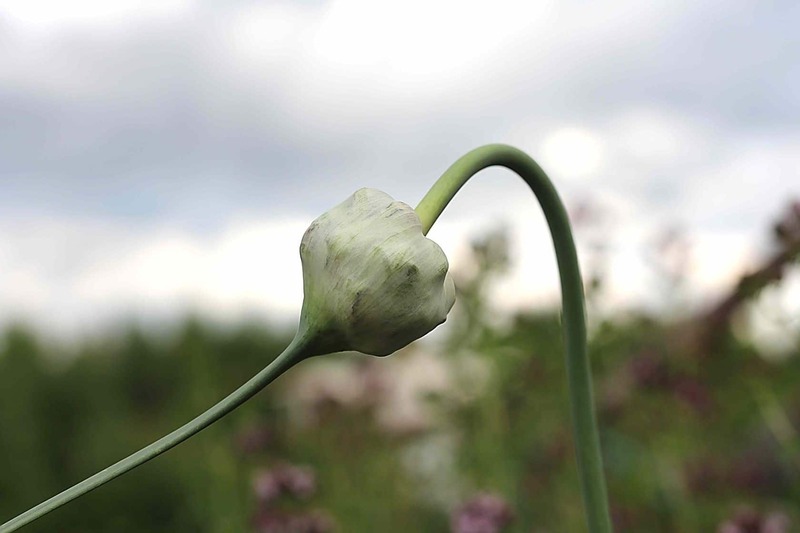 When you plant hardneck garlic they will develop what is called a scape (flower stalk). This is a thick curly stalk in the center of the leaves. You’ll recognize the scape by its tubular shape and distinctive curl. 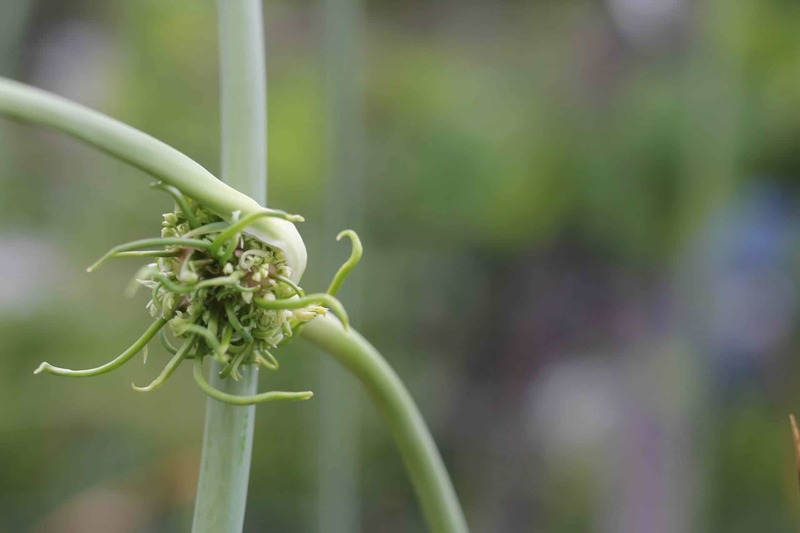 In order to grow a large bulb, the scapes are usually removed from the plant. 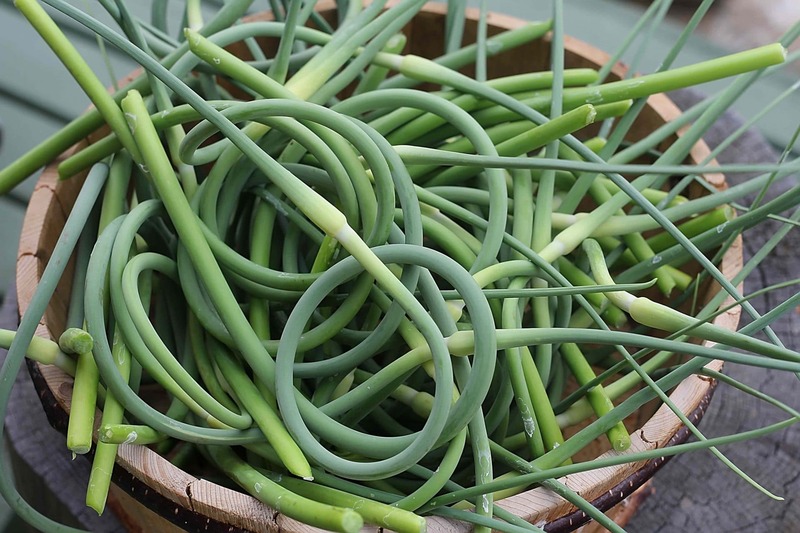 These scapes can be refrigerated for quite a while or frozen for longer term use. 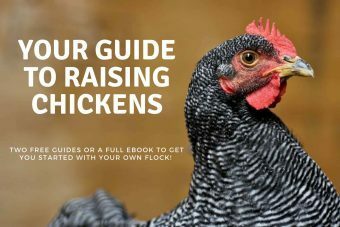 They can be used as a mild garlic seasoning or pickled. When you don’t remove the scape you get what is called an Umbel. 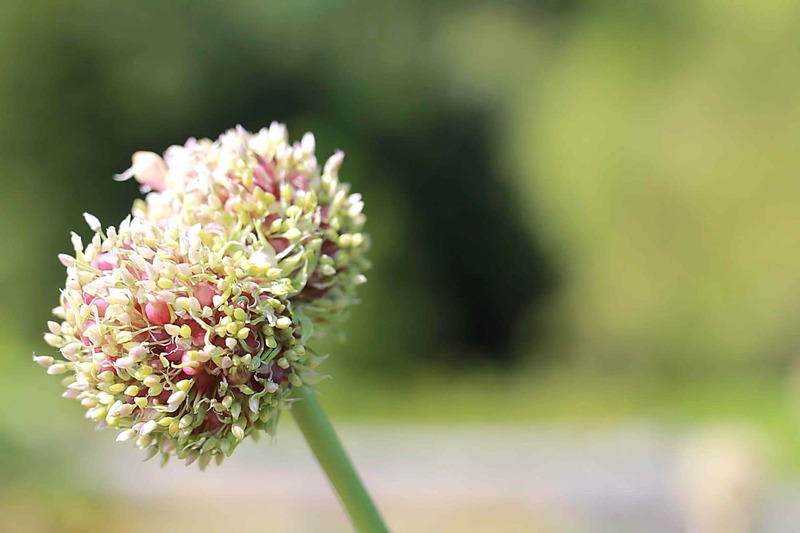 The umbel (or flower) contains anywhere from twenty five to two hundred tiny cloves called bulbils. These little bulbils can be eaten just like a clove of garlic, or planted. If you plant them, it takes anywhere from two to four years for them to become a fully grown bulb. 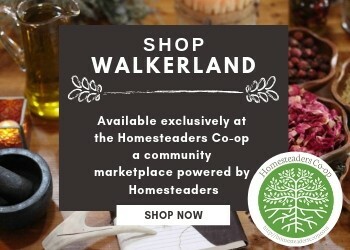 The benefits are that you have seed stock that is acclimated to your soil and environment and you are getting a lot of seed stock for no cost!